Lifestyle Builders have been working in Wellingborough for over 30 years, completing everything from full house builds to building garden walls. During that time, our team of expert builders and bricklayers have gained the experience and knowledge to assist with all aspects of building projects, from the design and planning stage, right through to completion of the project. 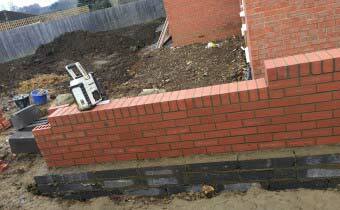 Along with general building projects, our reliable team carry out an array of work that involves brickwork. Our team includes specialist bricklayers, who have experience both restoring walls and buildings, as well as building them from scratch. 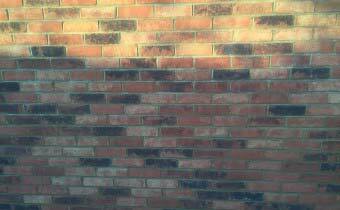 With a vast wealth of experience in masonry work, we have established ourselves as a reliable company that serves throughout Wellingborough. If you are looking for inspiration then you may want to take a look at our range of previous projects. Are you considering getting a house extension for your home in Wellingborough? Especially since the housing market is becoming increasingly competitive, making it more and more difficult for families to purchase a larger house. Therefore, adding an extension to your home makes for a cheaper alternative that still gives you and your family the extra room that you need without having to move to a larger house. As renowned builders in the Wellingborough area, we have established ourselves as a reliable company through years of hard work. House extensions are also a popular choice for property developers, as the addition of an extra room can enable you to make a profit on a house relatively quickly and also increase rental income. Although a new extension can add value, it’s important that the quality of the work is good. That’s why it’s advisable to approach a professional building company, such as Lifestyle Builders, to ensure that your extension is safe and professionally finished. If you have any questions or would like to request a quote, please contact us and we’ll work around your schedule to arrange a time to visit you at your property. You can call us on 01604 406682 or fill out a contact form and we will get back to you as soon as possible. Having been established since 1989, we've gained vast amounts of building experience. As a result, Lifestyle Builders offers some of the highest quality craftsmanship and an excellent service, including free quotes and surveys.